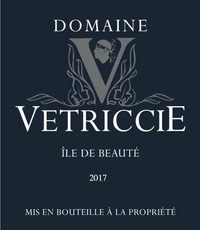 Wine Domaine Vetriccie Ile de Beaute Rose 2018 - Royal Wine Merchants - Happy to Offer! Maybe the best Rose we have tasted this year, I am stocking up! Brisk, fresh raspberry, cranberry with red and white currants notes. The Costa Serena, also called Oriental coast is located on the Eastern part of the island on a valley floor, ideally tucked between mountains and sea. The vineyards oriented South-East are subject to long sunny days, cool down by strong maritimes influences. The soil is diverse from schiste and gneiss on the foothills to clay, silt and loam on the valley floor. Like many new generation winemakers, Daniel Barcelo is dedicated to protect the natural beauty of Corsica, and he converted the estate to sustainable practices.